Poor women marry younger than their wealthier peers. It's a dangerous reality. Families often view marriage as a way to secure a girl's future, especially in communities with limited economic opportunities for women. The truth is, though, marrying off a girl typically creates more problems for her than it solves. 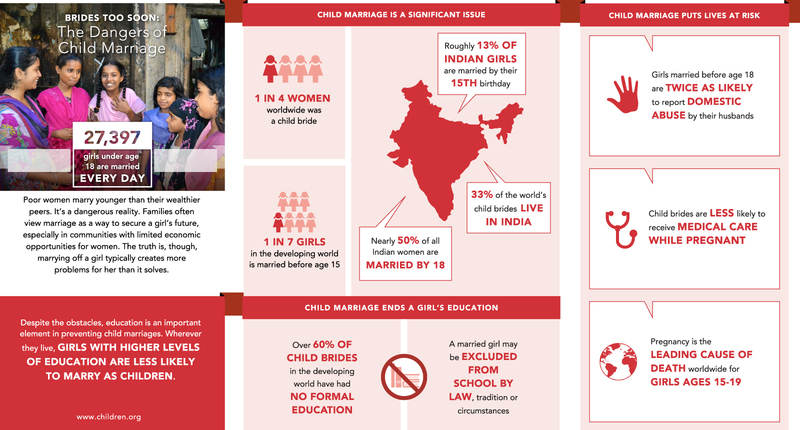 View Children International's infographic on the dangers of early marriage. To learn more about Children International, visit children.org.